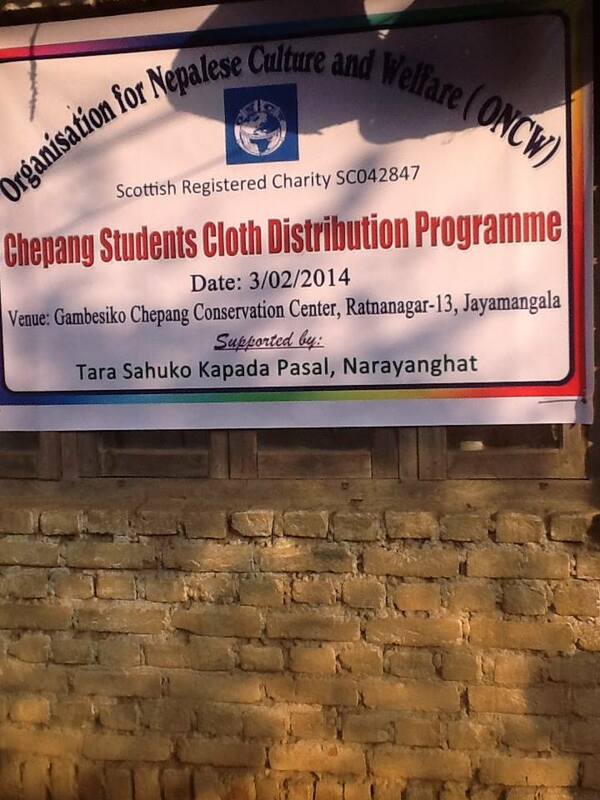 ONCW has distributed school uniforms to the Chepang students staying at Chitwan, Nepal on 3rd February 2014. 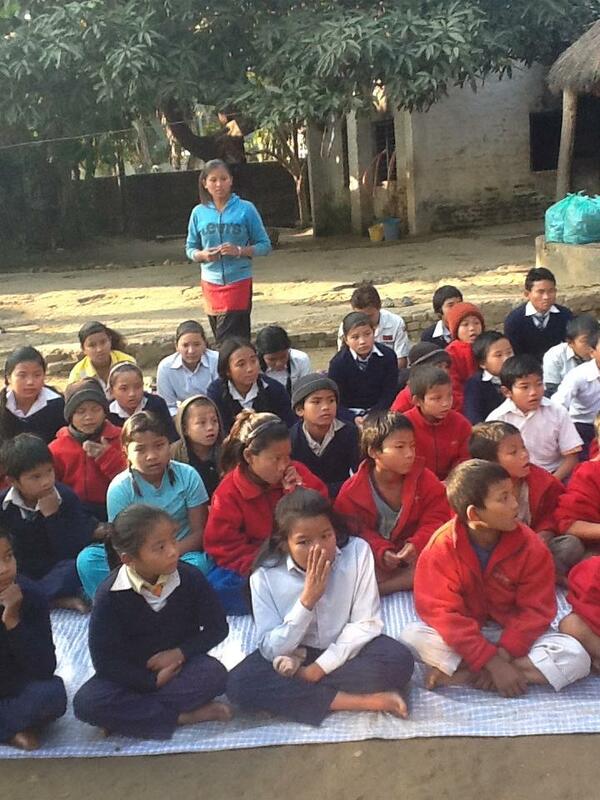 55 school uniforms were distributed to disadvantaged chepang students staying at “ Gambeshi ko Ghar” Chitwan. Chepang are one of the indigenous people of Nepal who live in the upper slopes in the central region Nepal. 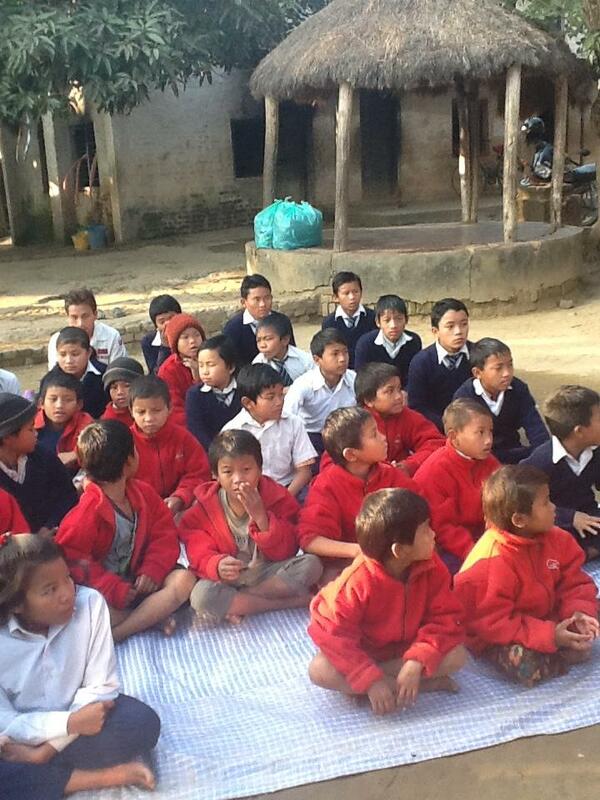 They are at the bottom ladder of social and economic indicators, placing them among the poorest of the poor. We have set up a charity raising page through www.charitygiving.co.uk/oncw for donations for this project. Lok Bhaka Sanjha with popular folk singer Badri Pangeni. 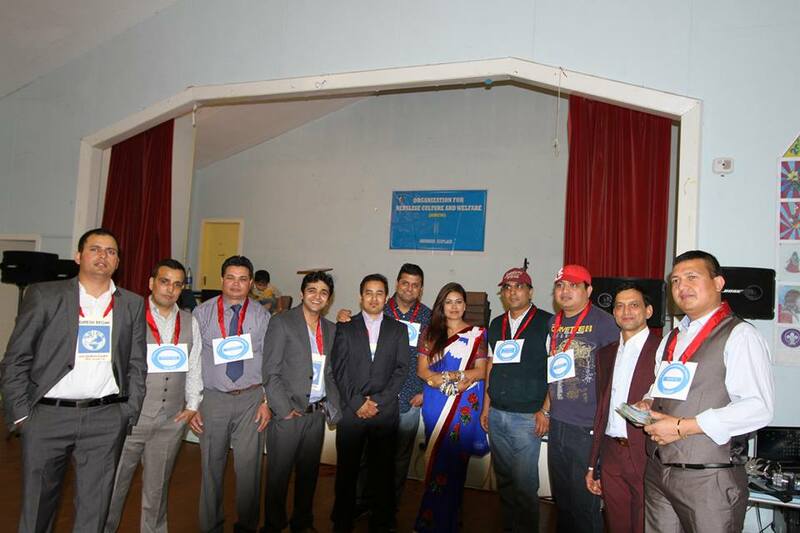 A cultural programme focusing on folk songs was organised on 10th May 2014 at Ashgrove Longue, Aberdeen. Popular folk singer Badri Pangeni presented his famous tracks along with national songs. 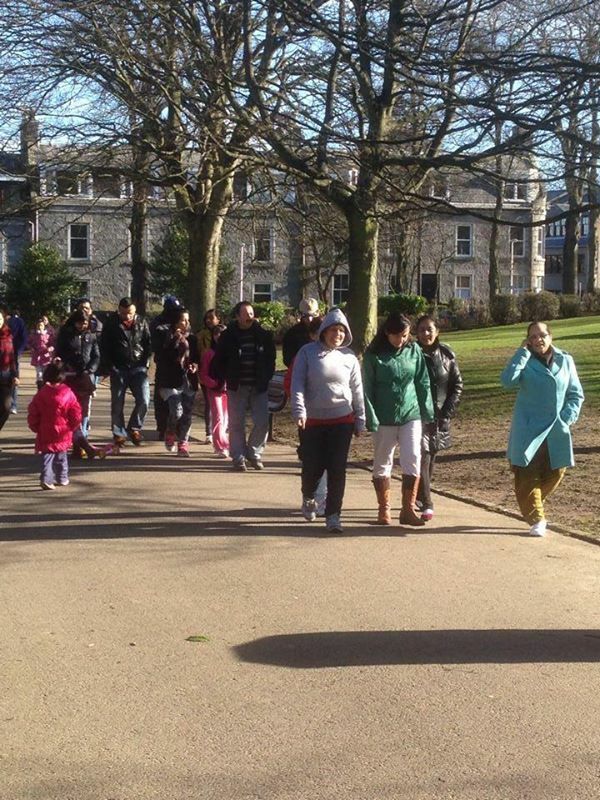 Path for All has supported ONCW to organise Nepalese Community Health Walk in Aberdeen. We have organised 19 health walk activities. 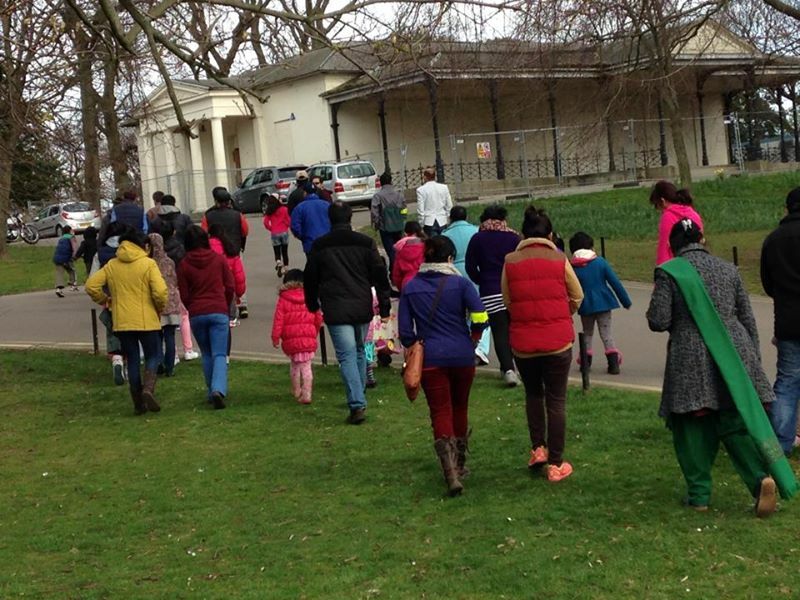 Initially we have planned to organise 8-10 health walk. 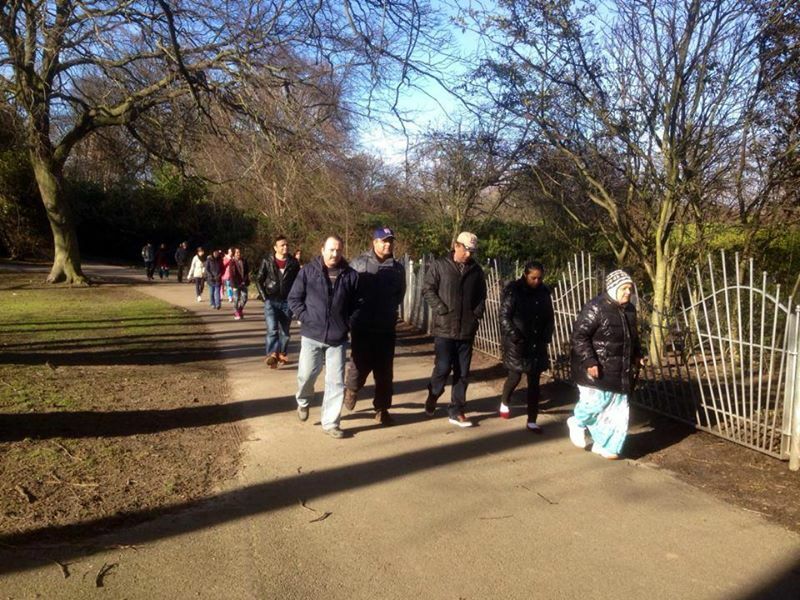 Our awareness session had made positive impact on community and we were able to conduct 19 health walk activities from September 2013 to March 2014. . From 22nd Decemeber 2013, we have organised regular weekly health walks every Saturday morning at 11am. The Climate Challenge Fund (CCF) awarded development grant worth £750 in the first week of September 2013 to develop a proposal on carbon footprint reduction activities in Nepalese community in Aberdeen. Activities including focus group discussion, questionnaire survey and advice from experts conducted to develop a proposal. A full proposal was submitted to CCF at the end of September. A special programme on the auspicious occasion of Teej 2013 was organised on 3rd September 2013 at St Clements Church, Mastrick Drive, Aberdeen. Teej festival is specially celebrated by women for wellness of their spouse. The festival is a three-day-long celebration that combines sumptuous feasts as well as rigid fasting. Famous folk singer Sunita Dulal entertained the mass by singing famous teej and folk songs. The event was free for female and visitor parents including food. The Honorary Consul General of Nepal in Scotland Mrs Sunita Poddar was the chief guest of this programme. Nepalese Takeway and Restaurant Business Aberdeen sponsored the programme and food was sponsored by Mount Everest Tandoori, Blackburn, Aberdeen. International poetry programme was organised on 6th April 2013 in Aberdeen. This programme was jointly organised by ONCW in association with International Nepalese Academy, UK and Somnath Sharma Memorial Trust UK. In this programme more than two dozens poets from Nepal, UK, France, Ireland, USA, Russia, Australia, Thailand, Vietnam, Israel and Afghanistan presented their poems. Poets recite their poems attending the programme or connecting through Skype/mobile. Mr. Jiba Lamichhane, President of Non Residential Nepalese Association, Central Committee praised the efforts of organisers by bringing several Nepalese poets living abroad in a common platform. The programme was also transmitted live through online radio Radio ONCW. 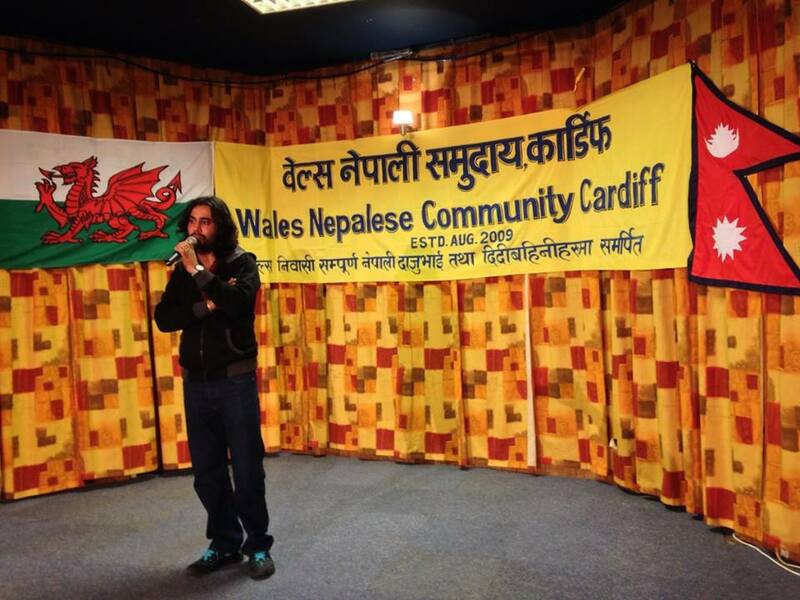 On the auspicious occasion of Tihar Festival, a Nepalese musical programme “Satya Swaroop Sanjh 2013” was organised on 3rd November 2013 at Ashgrove Lounge, 69-71 Powis Terrace. Famous singer of Nepal Satya Raj Acharya and Swaroop Raj Acharya performed their latest musical tracks. 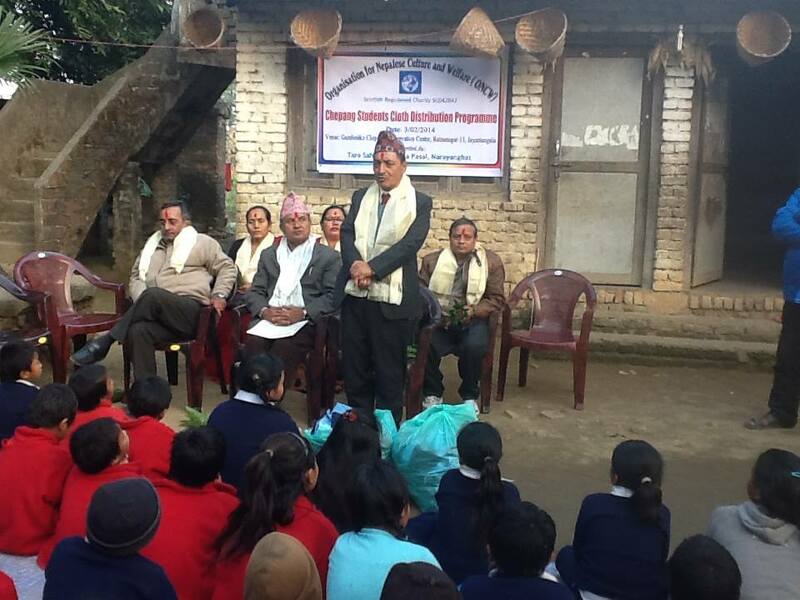 The programme was organised in support of Bhakta Raj Acharya Foundation. 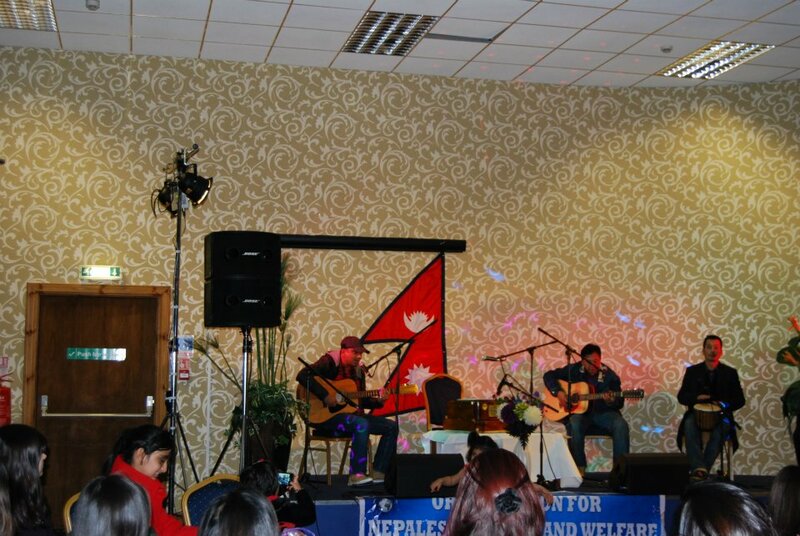 A Nepalese cultural Programme “Fusion 2012” was organised on the occasion of New Year 2012 on 9th January 2012 at Best Western Summerhill Hotel, Aberdeen. The most popular singers of Nepal Nabin K. Bhattarai and the legendary singer Deep Shrestha with their five musicians have performed first Live Nepalese Concert in Aberdeen. 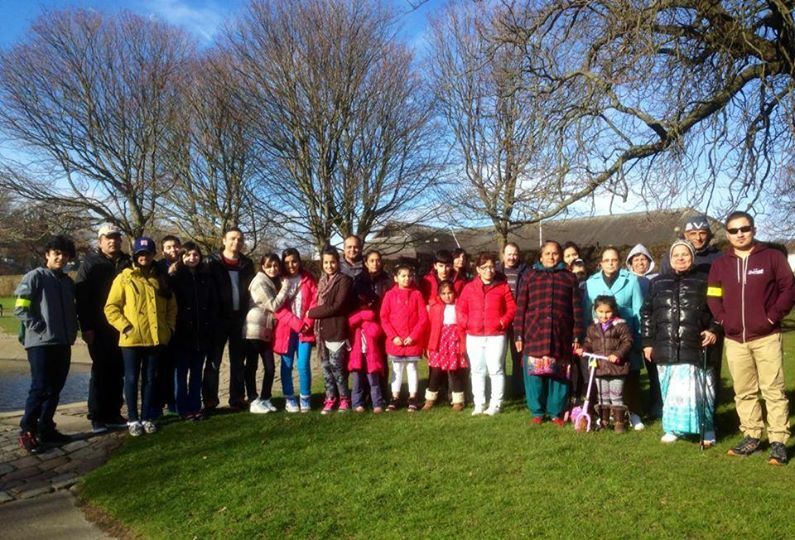 Nepalese community in and around Aberdeen highly enjoyed this programme. Five Nepalese films and documentaries were screened. Those were Oscar nominated and Eric Valli directed ‘Caravan’, Bhusan Dahal directed ‘Kagbeni’, Neasa Ni Chianain directed ‘Fairy Tale of Kathmandu’, Mohan Mainali directed ‘Pune’s Trousers’ ‘ and Deepak Rauniyar directed ‘Threshold(Chaukath)’. The program has received huge applause from the participants. Dr. Hilary Homans, Director of CSID, Aberdeen said that this programme has been able to share Nepalese culture and traditions to wider Scottish community and it should be continued every year. Mega Cultural Event was one of the biggest events organised by ONCW. 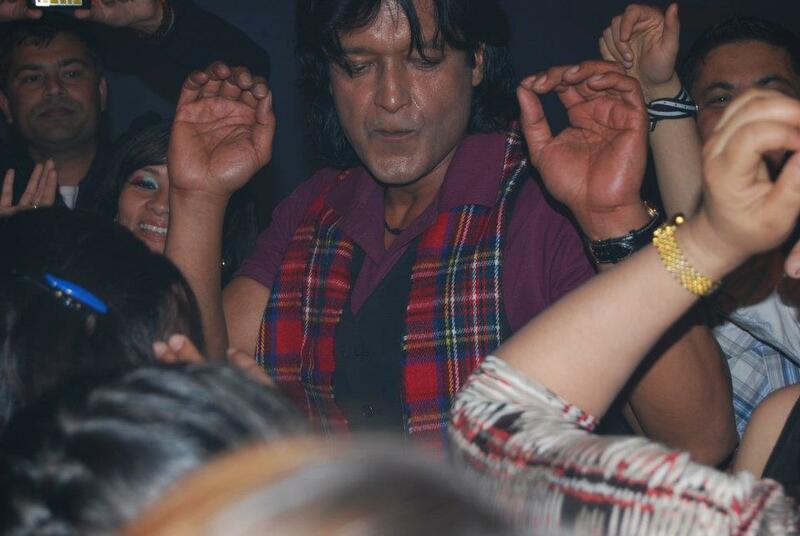 We feel honoured by the performance of one of the top Nepalese celebrities Superstar Actor Rajesh Hamal. 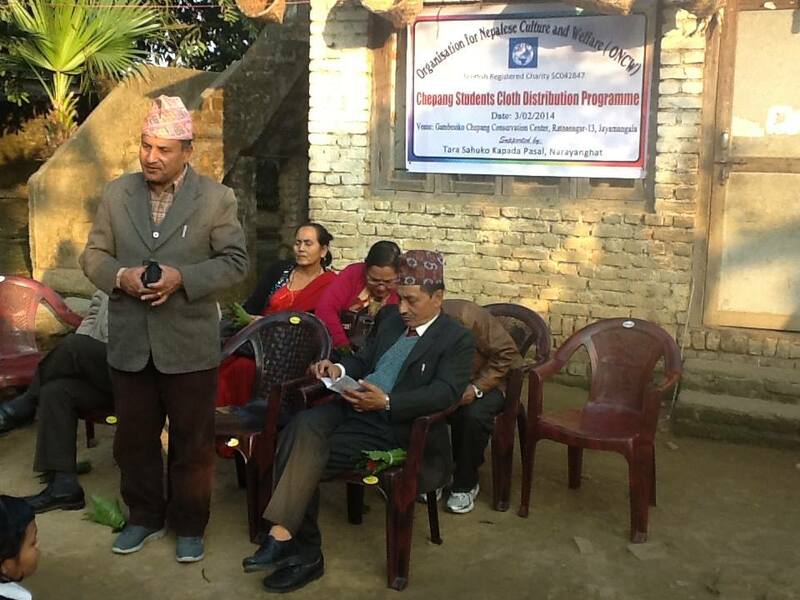 Likewise, popular comedians from Nepal, Deepak Raj Giri and Deepashree Niraula showed their outstanding performance. 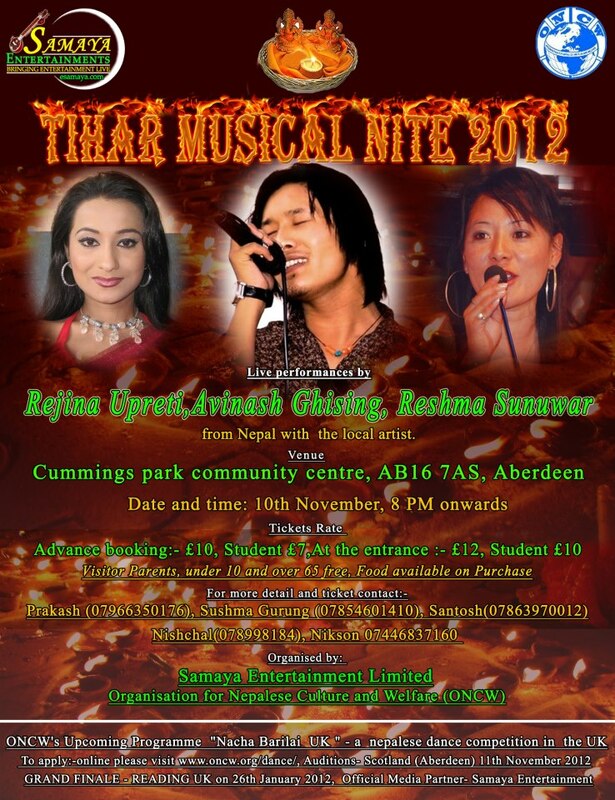 Similarly, the mass entertained by the performance of singer Himal Sagar and other local Nepalese artists of Aberdeen. 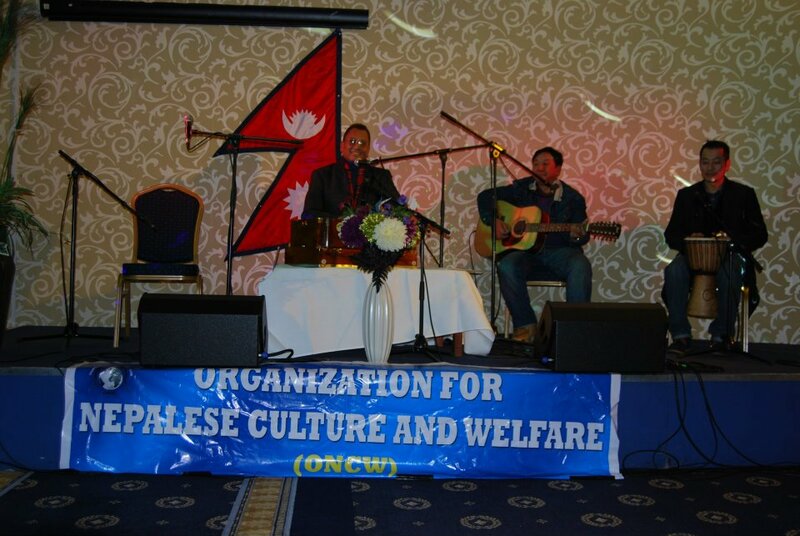 ONCW was one of the co-organisor of Nepal Promotional Event organised by Nepalese Embassy, London. This programme was well attended by the local and business community, Charity organisations working in Nepal including Nilupul, Nepal trust, Nepalese Diaspora; also included Lord Provost of Aberdeen. The ambassador of Nepal to UK Dr. Suresh C. Chalise and Lord Provost of Aberdeen George Adam jointly inaugurated the function by illuminating the lamp in a traditional Nepalese Pala. In his keynote speech, ambassador dwelt on the historic yet special relations with Scotland. On the occasion, the Lord Provost welcomed the Nepalese ambassador to the city of Aberdeen and applauded the Scotland-Nepal relations. He highlighted the similarities between two countries in terms of social characteristics and mountainous landscapes. 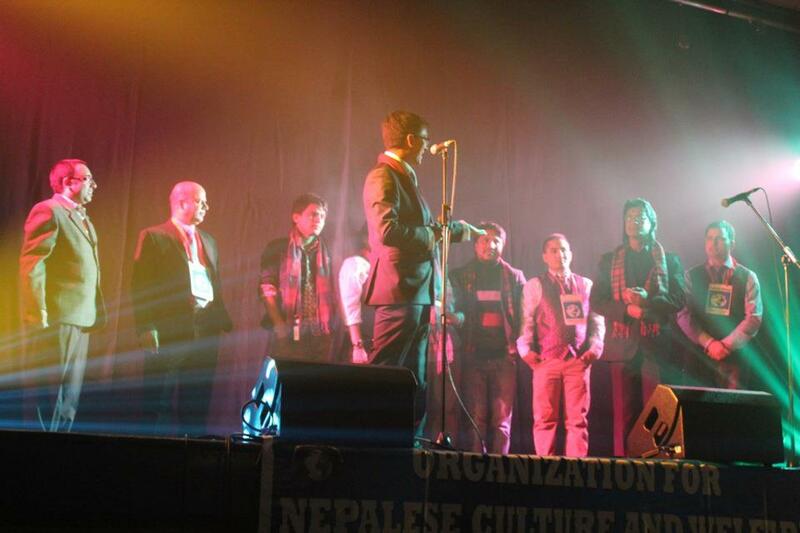 The famous Nepali music band KUTUMBA also performed live music show during the program. On the occasion, stall was set up to demonstrate various facts of Nepal and Nepalese handicrafts made in Nepal. The event, aimed to highlight various facets of Nepal’s tourism, fundamentally focused on the archaeological significance of Lord Buddha’s birthplace Kapilbastu in Lumbini and the Great Himalaya Trail. A premiere show of”Tulashi” movie was organised on 8th September 2012 at Lecture Theatre, Polwarth Building, University of Aberdeen in order to promote Nepalese culture and raise fund for “AMA GHAR” Kathmandu Nepal. Tulashi is one of the good movies of Nepal, which has been recently recognised as a “Special Film” from Film Development Board, Ministry of Information and Communications Nepal. After a long gap, famous musician Ranjet Gajmer has provided melodious music in this film. The film has been successfully screened in USA, Canada, Australia and other parts of Europe. 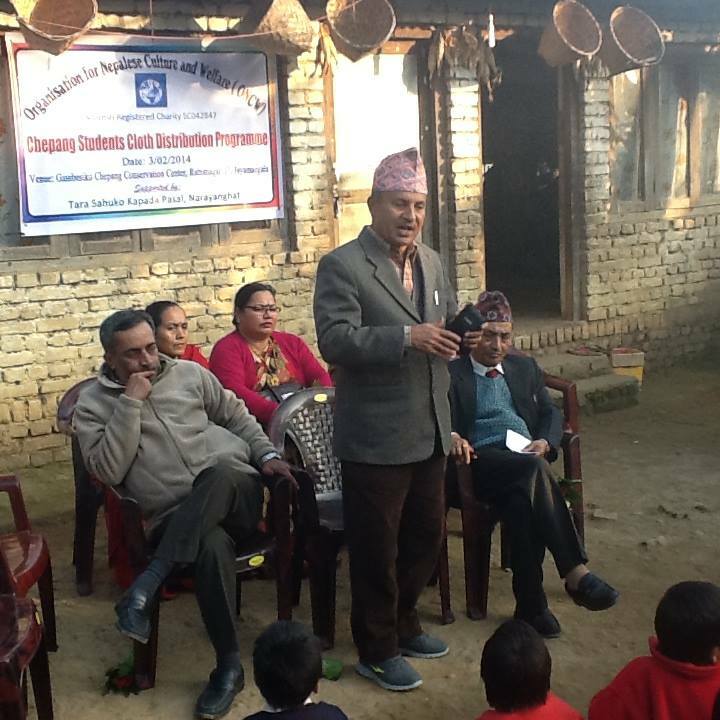 The director of this film Mr Shankar Ghimire interacted with audiences during the programme. Tihar Musical Nite programme was organised on the auspicious occasion of Tihar on 10th November 2012 at Cummings Park Community Centre, Aberdeen . Tihar, also known as “festival of lights” is one of the most dazzling of all Hindu festivals. Famous Nepalese Actress Rejina Uprety, popular Nepalese singers Abinash Ghising and Reshma Sunuwar showed their performance and entertained Nepalese community. Likewise, Nepalese cultural dances and songs were performed by local artists. On the festive occasion of Christmas and New Year, ONCW organised special Nepalese musical Programme Ram Krishna Dhakal Sanjh on 13th December in Aberdeen. 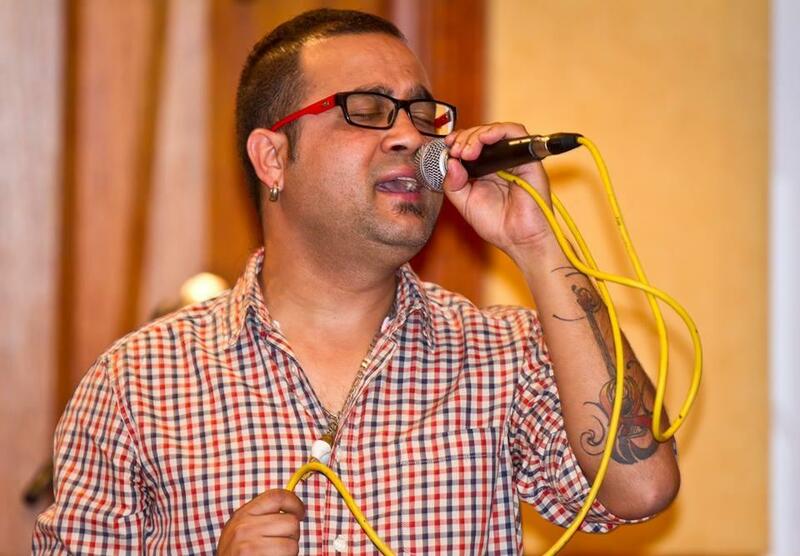 A very talented and popular singer of Nepal, Ram Krishna Dhakal presented around 20 popular songs, which include from patriotic song to modern songs. 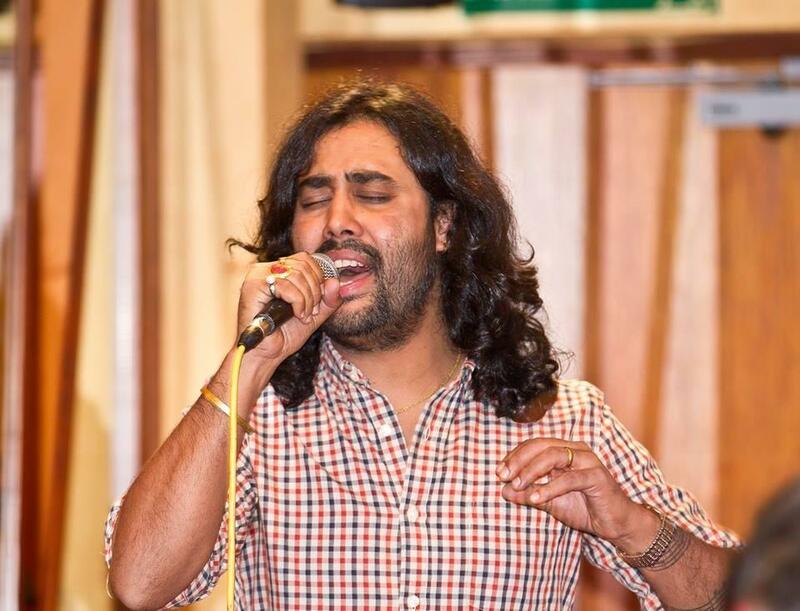 Another Singer Himal Sagar also performed his popular tracks. 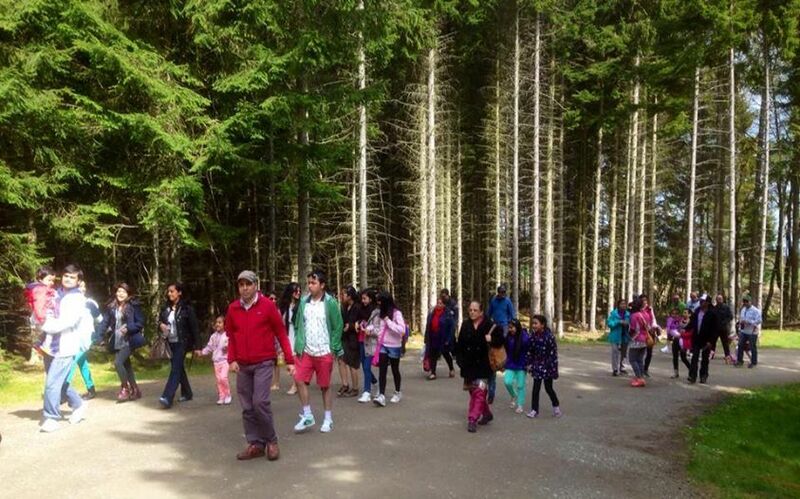 The programme was highly appreciated by Nepalese community in and around Aberdeen.